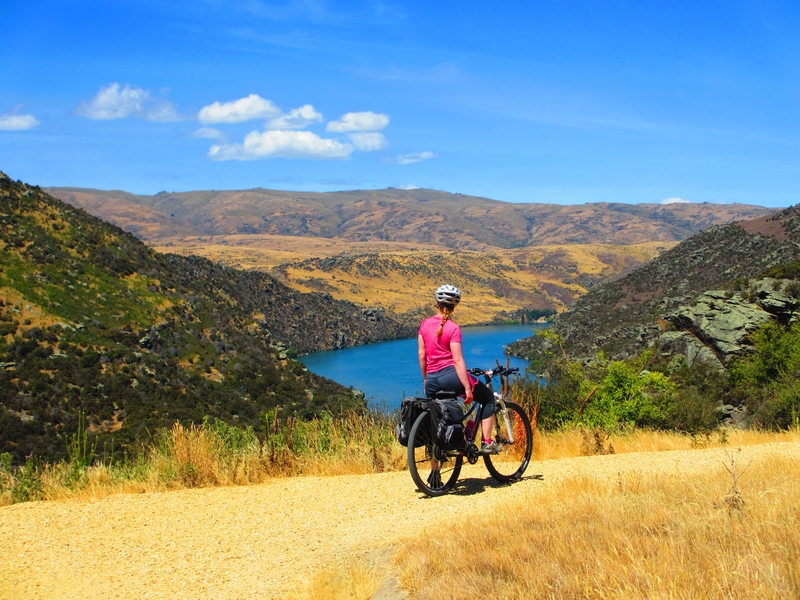 Roxburgh Gorge Trail - Bike it Now! Roxburgh Gorge Trail - Bike it Now! 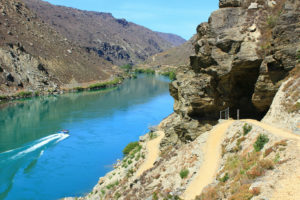 The trail follows the Clutha Mata-au River through the Roxburgh Gorge to the Roxburgh Dam. The trail is in three parts, first 10km is from Alexandra to Doctors Point, you then get on a boat and travel 12kms down the lake to Shingle Creek where you disembark. You will then ride 12 kms to the Roxburgh Dam. On crossing the dam you join the Clutha Gold Trail at Commissioners Flat The Roxburgh Gorge has bluffs rising almost 350 metres on both sides of the river and has been described as New Zealand’s ‘Grand Canyon’ and there are numerous relics of Chinese miner huts and two mining settlements. Bike It Now! has been operating on this trail since its opening. Our recommendation is be that cyclists start their ride at Clyde and follow the Clutha River via the 150th Anniversary Trail to Alexandra. At Alexandra you will join the Roxburgh Gorge Trail and then continue on the Clutha Gold Trail through to Lawrence for a 3-4 day ride.